Waking up at 1 a.m to get the ironing done is not our usual kind of routine but because the electricity was only on from 1 a.m to 6 a.m that day (the timetable of rolling blackouts became our bible on that trip) and we were staying with a local family there was no generator for us. So ironing at 1 a.m it was. 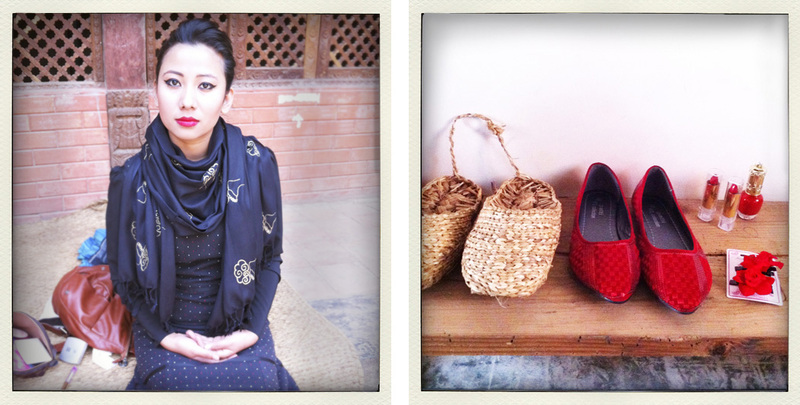 Also the idea of a “beautiful lady” in Kathmandu was quite remote from Kore Kamino’s ideal. Imagine Falcon Crest meets Bollywood? Well the applications we received for our photo shoot were somewhere around these lines. 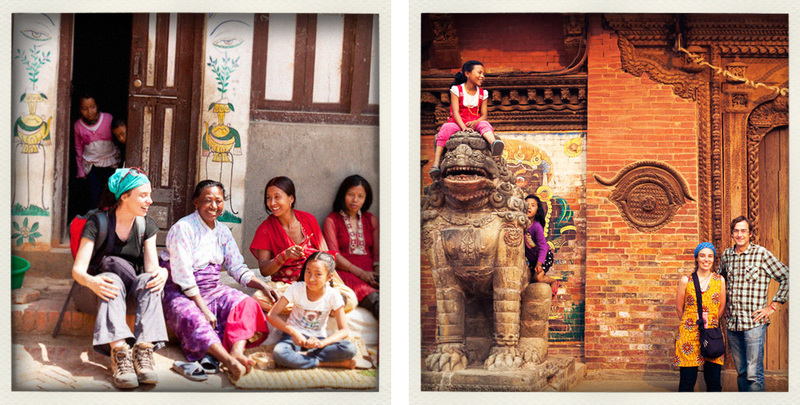 Our casting in Nepal was the most laborious we’ve had to date. 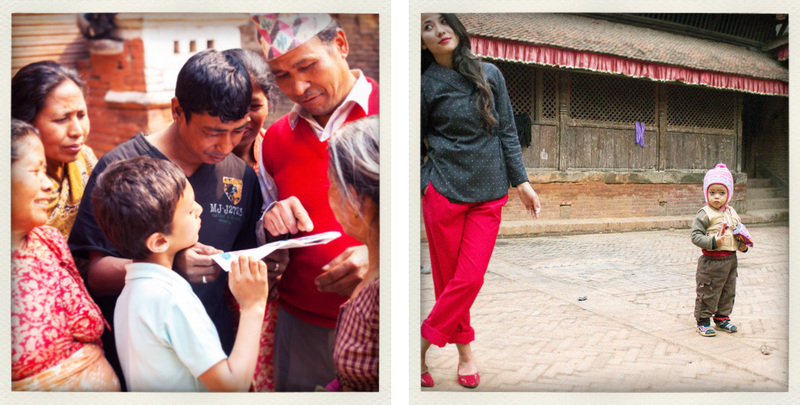 Many girls were really shy too, one of the reasons being that, sadly, trafficking is still very active in Nepal. 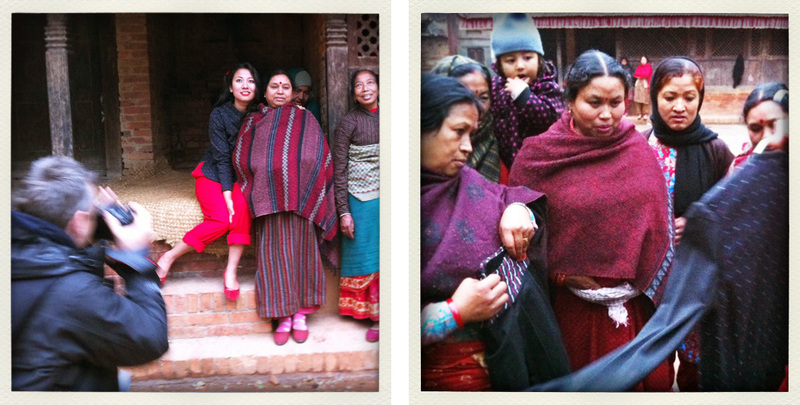 Luckily for us, at the last minute we found the natural beauty we admire in three young women from Kathmandu. And Menuka, Ishwari and Neha became our muses for the day. In the end it was a fantastic team and shoot, thanks to Kathmandu based documentary photographer John Healey. 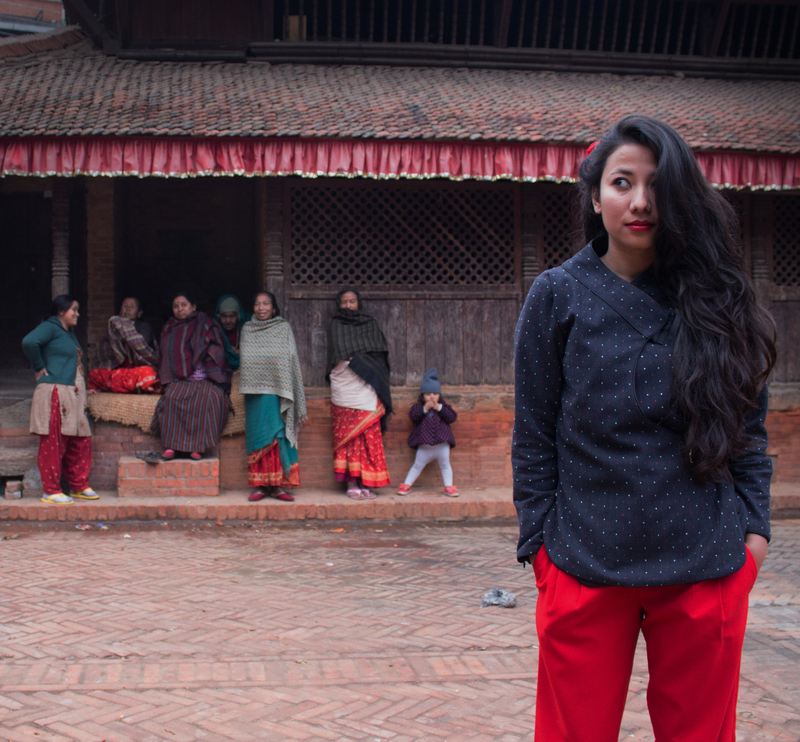 We felt so privileged to meet these passionate people along the way, among others, local journalist Bibek Bhandari, actress Menuka Pradhan, artist and researcher Renuka Gurung, home-stay owner and producer Sarita Awale and young Canadian adventurer Asad Chishti . Thank you all for your help. Namaste.